Success demands a get-it-done attitude that often requires you to wear many—if not all—the hats, from managing sales to cleaning the office bathroom. As your company grows, some of those tasks will get passed off to employees. An estimate is much more than numbers generated by a calculator—it creates an outline that clarifies the project’s scope. Make no mistake: a bad estimate can turn into a disaster, leading to costly oversights as well as the destruction of a valuable customer relationship. Protect your bottom line and reputation by creating an estimate process that outlines what is—and what isn’t—included in the project. Tools like an estimate checklist will help you ensure everything is accounted for so you can deliver an accurate estimate for time, materials, and costs. 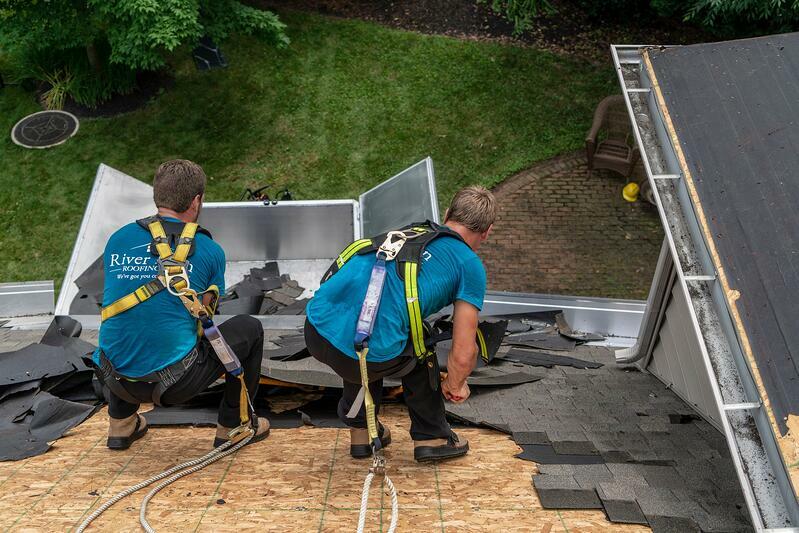 Safety matters for roofing professionals, and as an owner, managing that safety goes to a whole new level. Check out these roof safety resources to protect crews on the jobsite. Using roofing equipment like the Equipter RB4000 lift can also help roofers stay safer by reducing the risk of injury from falling debris and heavy manual labor. Managing risk is also about protecting your roof replacement business with the right types of insurance. Learn more about the types of coverage a contractor might need. What do you have where? If you don’t know, you’re wasting valuable time and money. Keep track of roofing supplies, tools, and equipment to make sure you and the crews have what’s needed to get every job done. Be prepared to deal with everything from the guy who’s Great Aunt Masie has died—for the second time this year—to the two roofers in a spat over who put a hammer where it wasn't supposed to be. Keep a schedule on you at all times & share digital calendars with relevant people. Prioritize the to-do list, taking care of difficult or must-do items first. Set aside one block of time to tackle a cluster of small tasks—those that take only a few minutes each, like listening to voicemail or signing checks. Block digital distractions during office work with productivity apps (like Freedom, Cold Turkey, or FocusMe), which stop you from accessing websites that act like time drains, from news sites to Facebook to Instagram. When you start a roofing company, it can feel lonely, especially if you’re responsible for everything. Avoid the emotional burnout that puts your vision at risk by leaning on others. Of course family and friends are important shoulders to lean on, but don't forget the value of business-focused support. In fact, a business mentor can be so valuable exactly because they have a “been there, done that” perspective that can guide you through common problems, like managing cash flow or developing a brand. Check out groups like SCORE or MicroMentor to learn more. 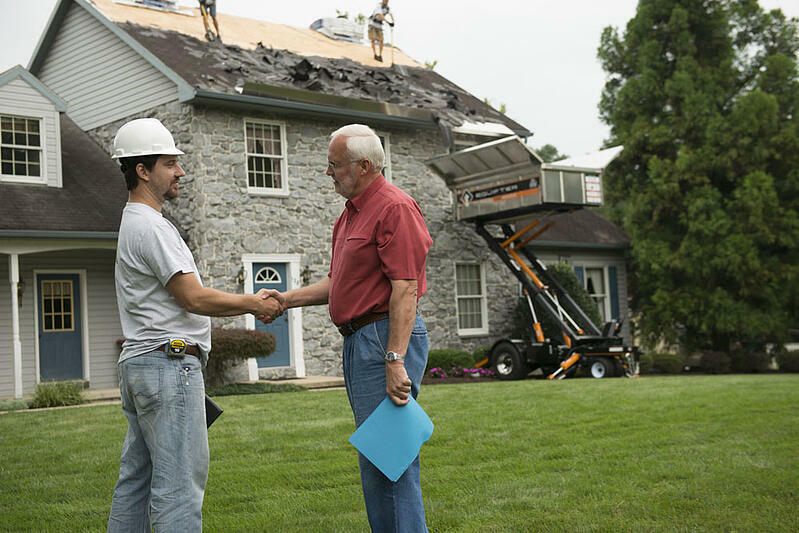 Launching a new roof replacement company is a challenge—and it’s one you should be proud of yourself for tackling!